It's Fall ya'll! Well almost. I'm Cindy and I'm back for another Team Tuesday project. Fall is my favorite time of the year! So with small signs of cooler mornings I thought I would share a fun and simple project for fall. I know you are used to seeing projects from me that are bright and colorful but believe it or not most of my home decor is pretty light and neutral. 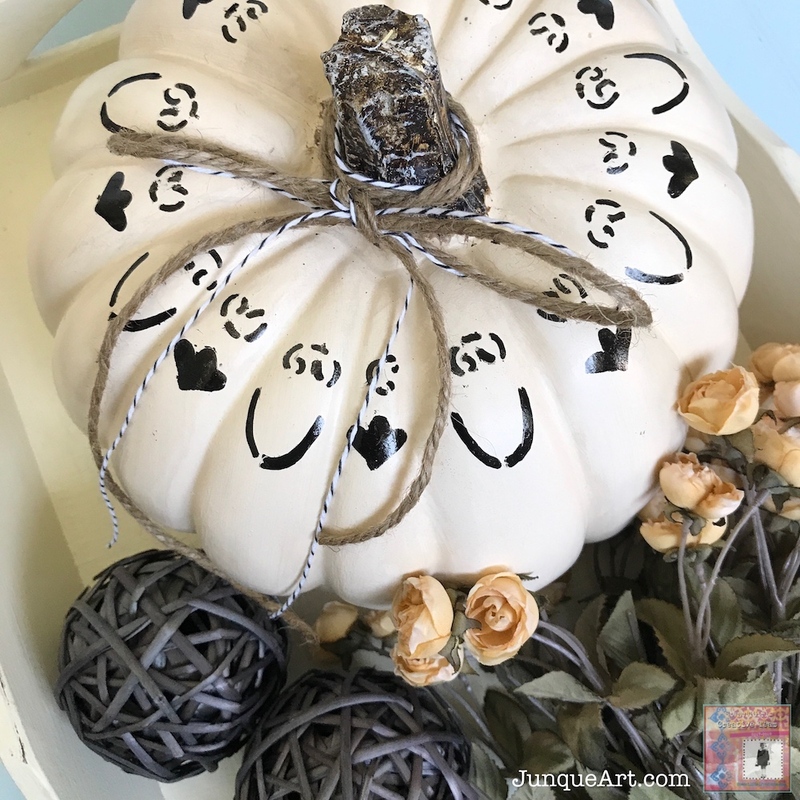 I love all things farmhouse style and with fall quickly approaching I wanted to create a modern style farmhouse pumpkin. So I headed to the store in search of a pumpkin. I wanted a real one but I couldn't find one. I guess I'm pushing for fall a little too soon, so I settled for a fake one from Michael's. 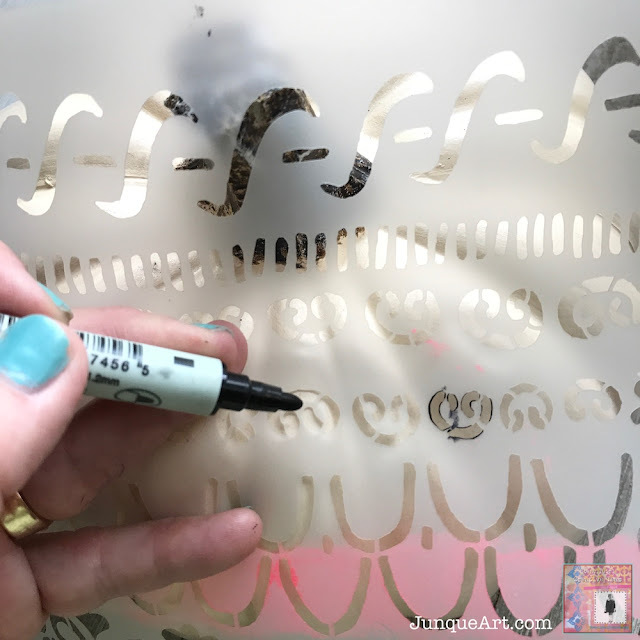 I started digging through my awesome collection of StencilGirl stencils and when I came to my sweet friend Janet's stencil I knew that's the one I wanted to use. It's a quick and simple project so let's get started. Pumpkin, can be real or fake. Mine is a fake one from Michael's. 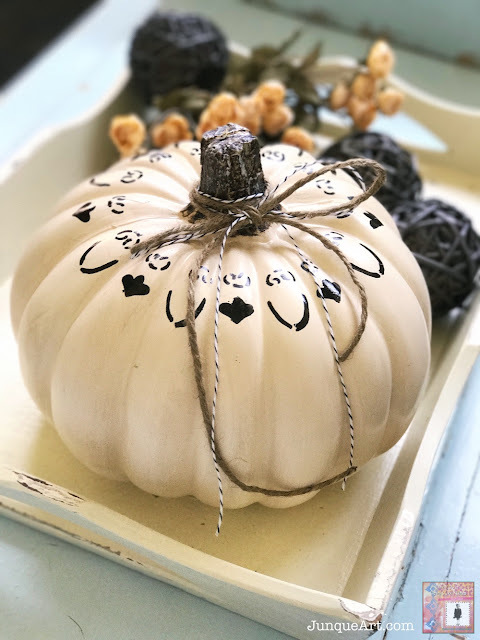 Marker or paint pen (be sure and test your marker or pen on the bottom of your pumpkin to make sure it is going to work and not smear). Twine or string (not shown in photo above but in finished project). Pick an element from your stencil and start stenciling around your pumpkin. Because the pumpkin is not flat it will take a little patience to hold your stencil. You want to make sure you hold it down around the element you are working on. I started at the top and started working my way around. Be careful as you lay your stencil on the previous design so you don't smear it if it's still wet. 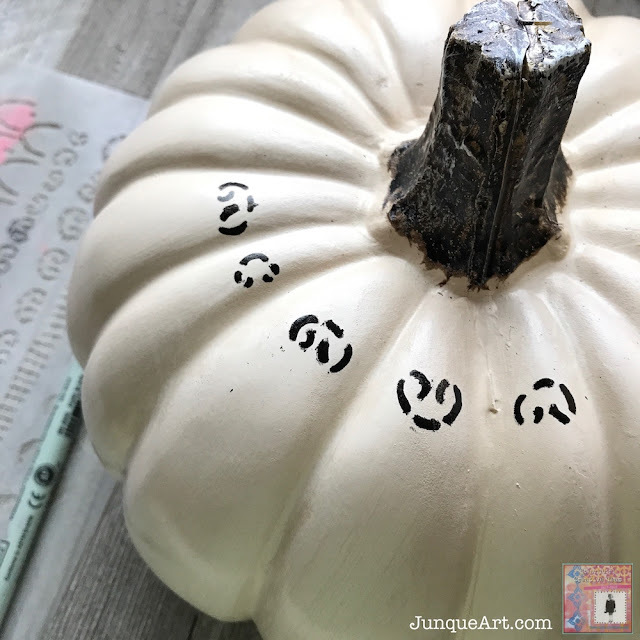 Keep working your way around the pumpkin and just have fun making your pattern. I only did two rows but you could work your way all the way down the pumpkin. 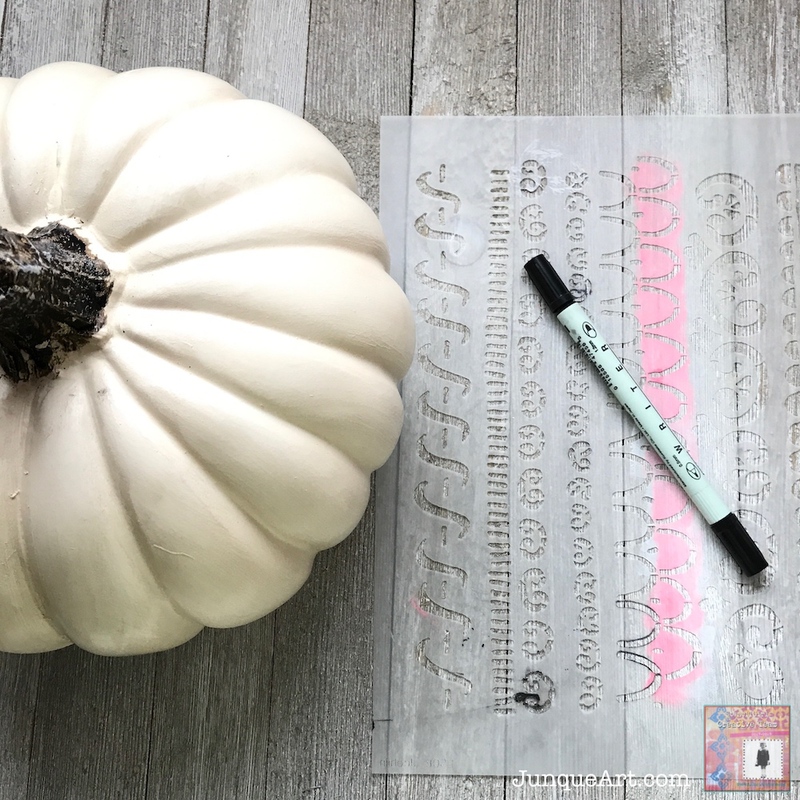 If you are going to be using your pumpkin outside you might consider sealing the marker or paint so it can withstand the weather. 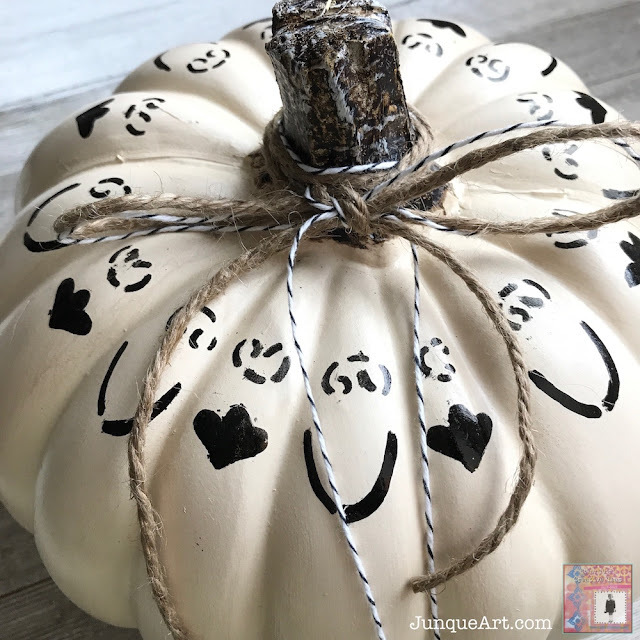 Such a simple but lovely fall project. 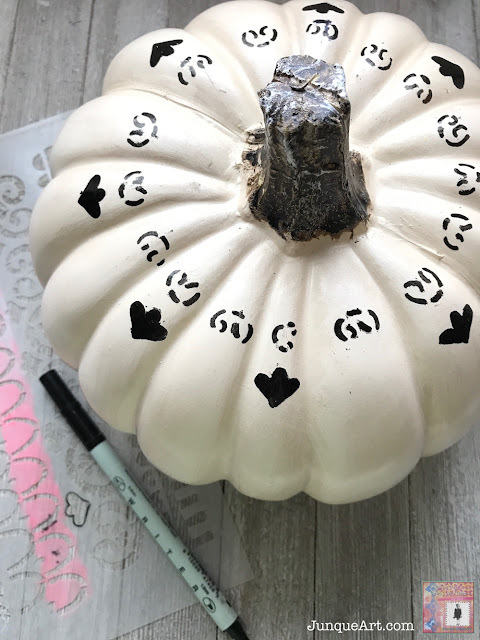 Have fun with your stencils and pumpkins. 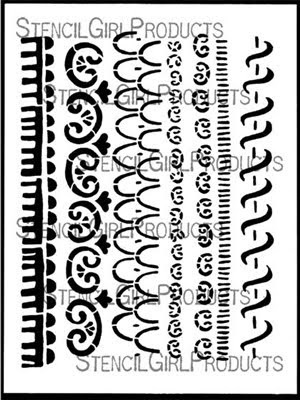 We would love to see what you make so be sure and share on social media and tag StencilGirl. 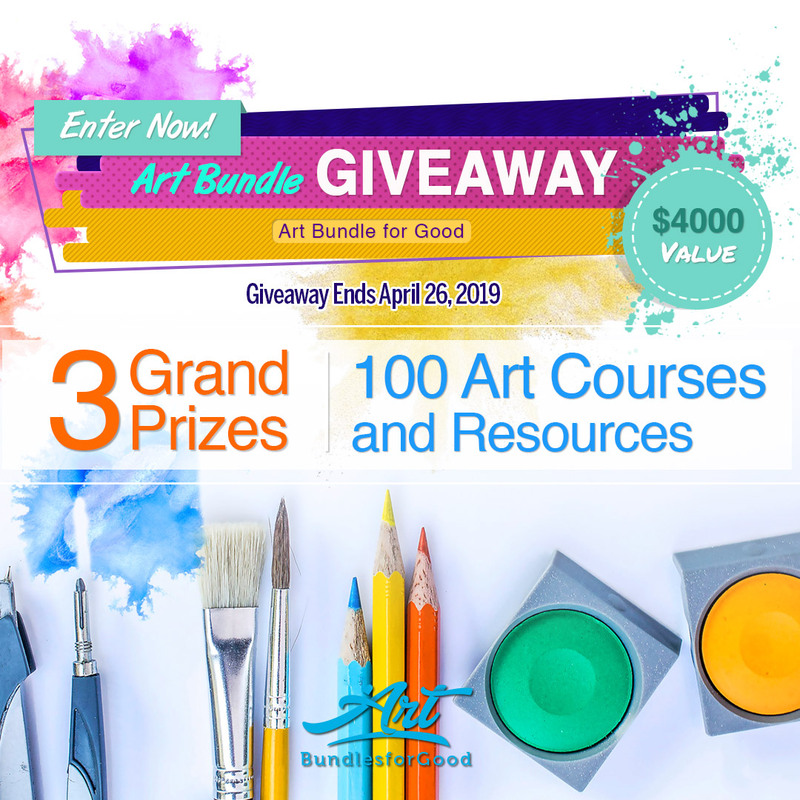 Stop by and say hi anytime at my online home, Junque Art. Happy fall ya'll and happy stenciling!